The eagerly anticipated season of liquid amber gold is upon us. In restaurants across Montreal for the next few weeks, chefs will be dreaming up maple syrup infused and inspired meals that will tantalize our tastebuds. Le Richmond launched their 4th annual Brunch à l’érable on March 9th and we had the pleasure of sampling the entire menu. Not only did this year’s brunch not disappoint, it may be their best maple brunch to date. One of the things I like about the evolution of the maple craze that has been sweeping the city for years is how inventive the choice has become. Inspired by the sugar shacks of Québec’s sweetest industry, each year restaurants like Le Richmond go out of their way to outdo what they’ve already presented. 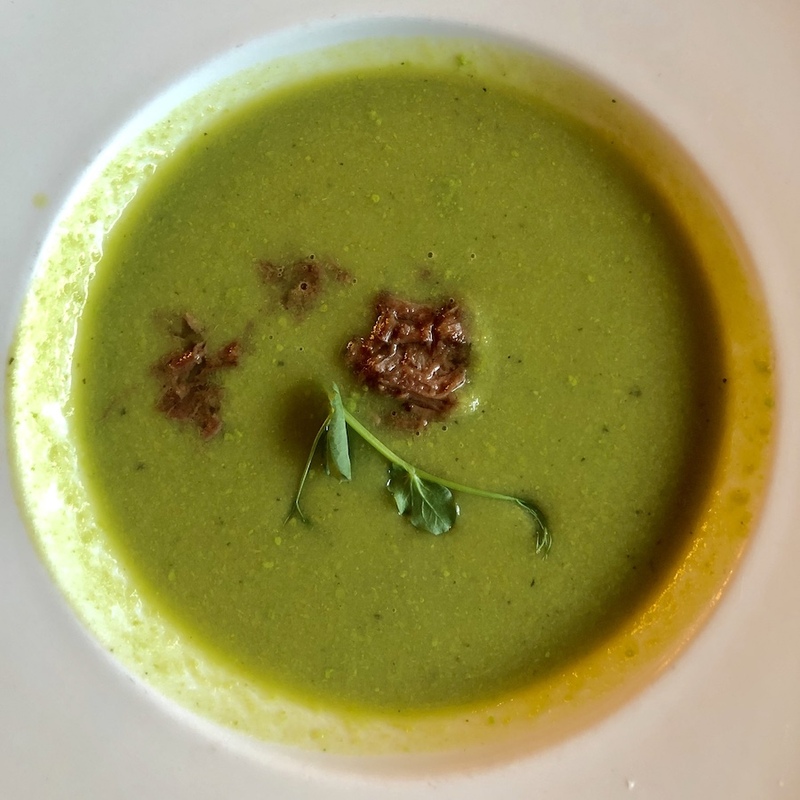 This year’s menu features a delicious 4 course meal that starts with an savoury green pea and mint soup that comes topped with a little maple bacon. 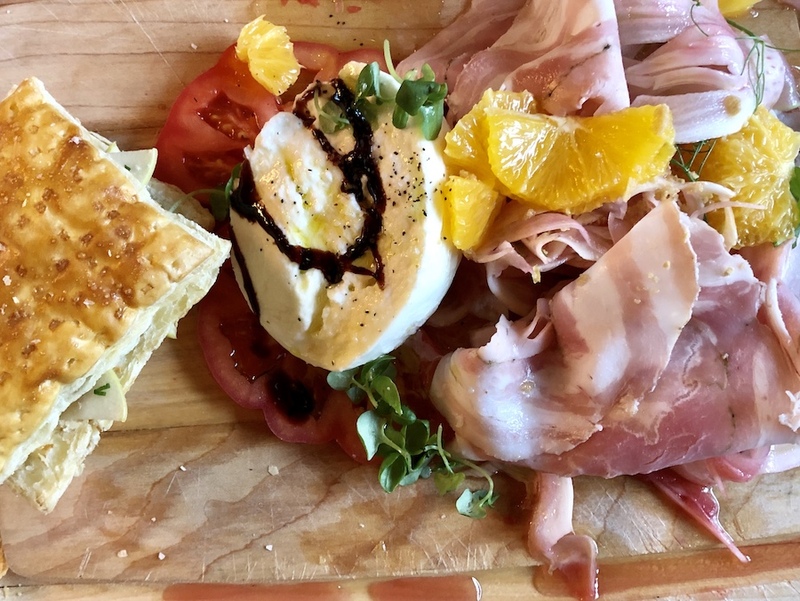 The second course choices consist of a mozzarella di bufala that’s freshly imported from Italy and topped with a drizzle of maple syrup, a black pudding tart with maple cream and foie gras mousse and a zingy fennel salad. The second act is meant to be shared by two people and believe me there’s enough to go around. The third service is where things get a little more robust. 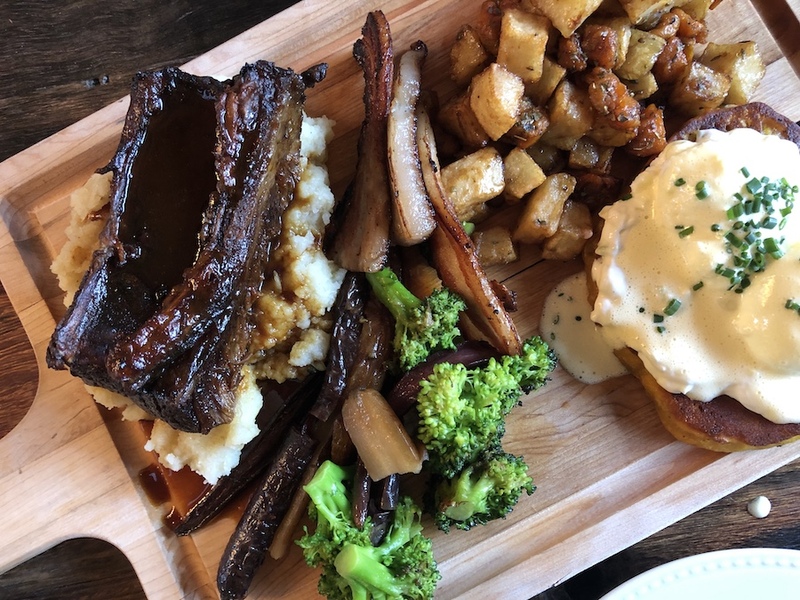 The menu features a dense carrot and maple syrup pancake, a helping of slow cooked bacon marinated in maple syrup, fall-off-the-bone beef short ribs served with seasonal veggies and roasted potatoes and a plate of mushroom infused scrambled eggs. The fourth service tops everything off with a pudding chomeur with maple syrup and a mascarpone mousse. You have until the 31st of March to try this spectacular brunch. I’ve been to Le Richmond for their maple brunches every year since they’ve put them together. You don’t want to miss this one.